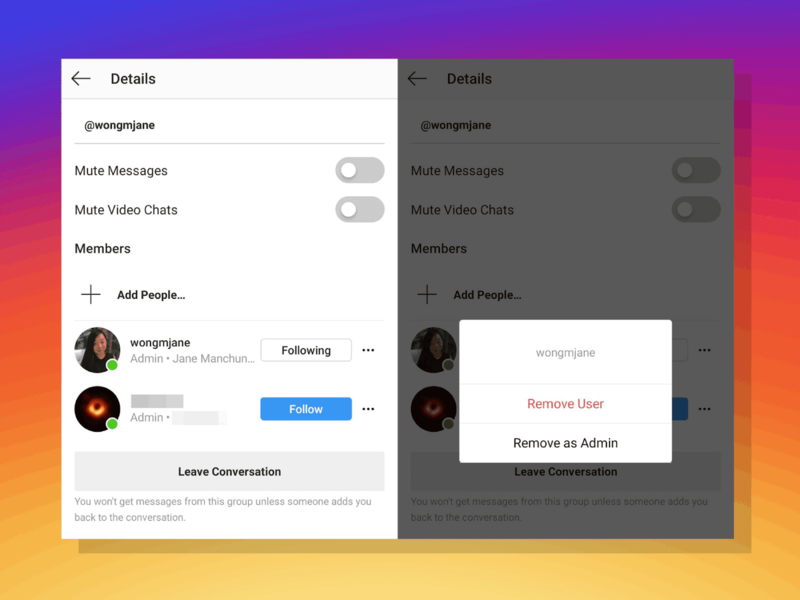 Instagram Direct will soon be giving Admins certain Rights that will help them in Regulating their Groups! Instagram Direct (a private messaging feature) is evolving with each passing day. Not only you can establish one-to-one communications, but also create group conversations. To do that, send a direct message to 2 or more people at once. The message can either be a video, photo or a simple text message. Once a group is created, you can name it anything you like. You can also add more people to an existing group. You should think that there should be some kind of rights for the creator or admin of the group with the help of which they can easily manage their groups. If you have ever felt the need of these rights, there’s good news for you! Reverse-engineering expert, Jane Manchun Wong recently posted a tweet, according to which Instagram Direct is working on Admin rights for group conversations. Wong also added a screenshot along with her tweet that showed how the feature will turn out to be. From the looks of it, the available options for Admins will include removing a member from the group and making/removing someone as an Admin. It is debatable whether this feature is needed right now as many people (especially Social Media Managers) would have preferred these rights for the profiles first. However, Instagram Direct can benefit a lot from this feature. It remains yet to be seen when it is rolled out.